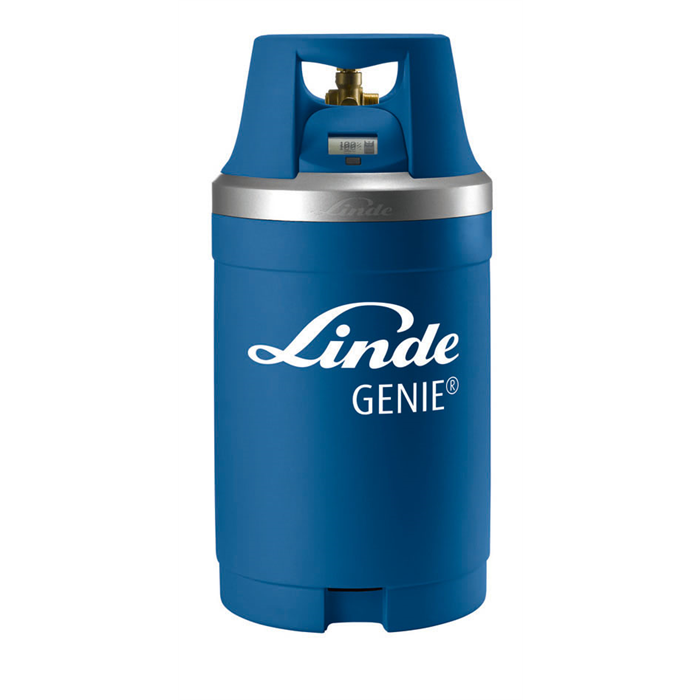 For Linde Group's innovative GENIE® gas cylinders, WIKA has developed a unique, user-friendly intelligence unit: The digital measuring system does not display the pressure - as is usual in conventional gas cylinders - but rather the user-specific range of the contents. The solution realised for the Linde Group consists of three elements: a pressure transmitter with a thin-film sensor, a display/logic unit with integrated temperature sensor and a connection cable. The transmitter has been custom-developed on the basis of the model MH-2, which was designed for robust mobile hydraulics applications. It communicates over a serial interface with the logic unit. This is pre-programmed in accordance with the type of gas and also the language and measurement unit of the specific country of delivery. The input of the necessary operating parameters on site, such as the flow rate during welding, is made easily via a few keystrokes. On the basis of the pressure measurement value, the ambient temperature and the stored gas coefficients, the logic unit continuously calculates the exact range of the cylinder contents. The display informs the user graphically and numerically, for example, how many minutes more he can weld or how many more balloons can be filled. 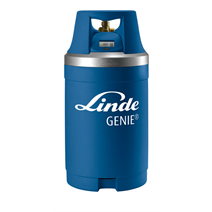 The digital "heart" of the GENIE® gas cylinder, which is lightweight due to the combination of steel, carbon fibre and polyethylene, is shock and vibration resistant. A high-capacity battery guarantees a three-year service life.